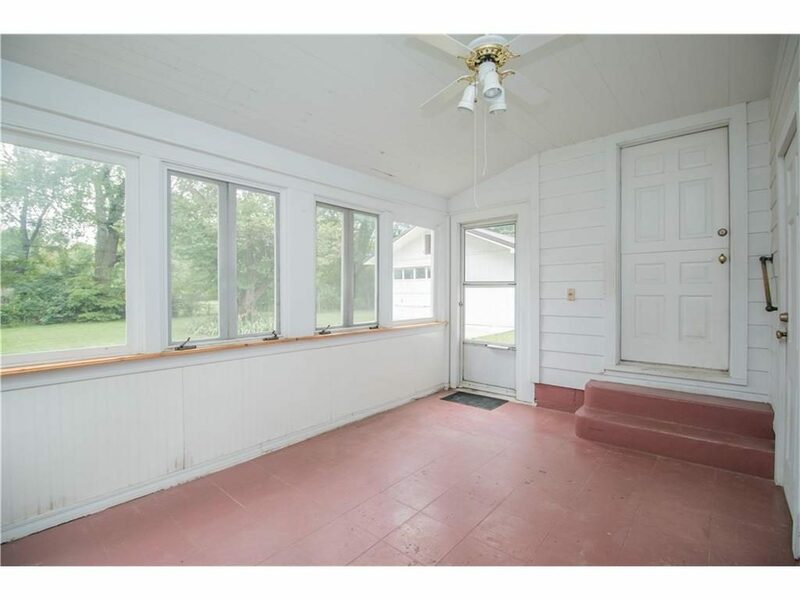 When I was busy revamping the sunroom at Flip 5 for the One Room Challenge, I knew I wanted to ditch the white and gold dated fan. I considered replacing with another fan, but I opted to replace with a light fixture instead. I wanted the light fixture to enhance the design, but I couldn’t find anything I like….so I made one! I found an affordable basket at Target (duh! ), and I instantly knew it had a better life– as a light! It was less than $20 and came in black and brass. I knew the black was the perfect accent to my black and white decor in the sunroom. 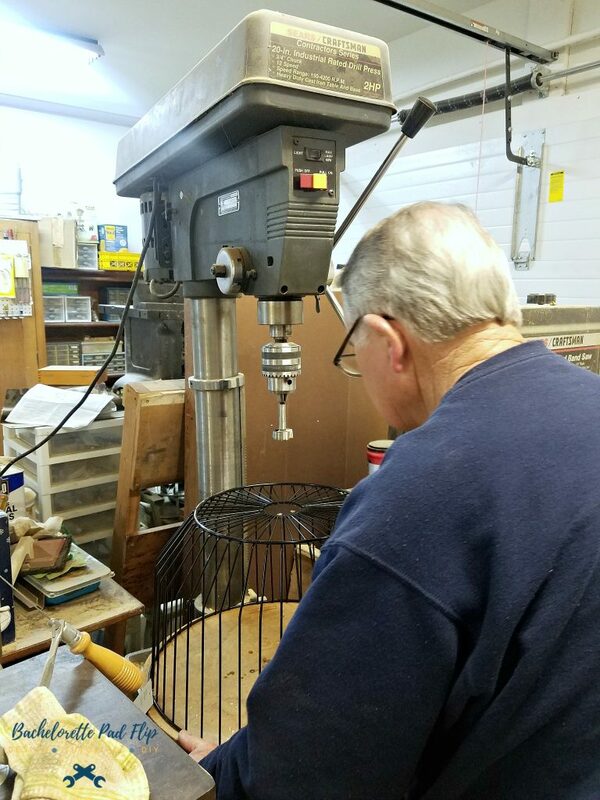 The basket wasn’t designed to be a light fixture, but with the help of Uncle Nuny, I knew it could be one! I picked up a pendant light kit at Lowe’s for $15, and then Uncle Nuny drilled a hole in the base of the basket to fit the pendant light. 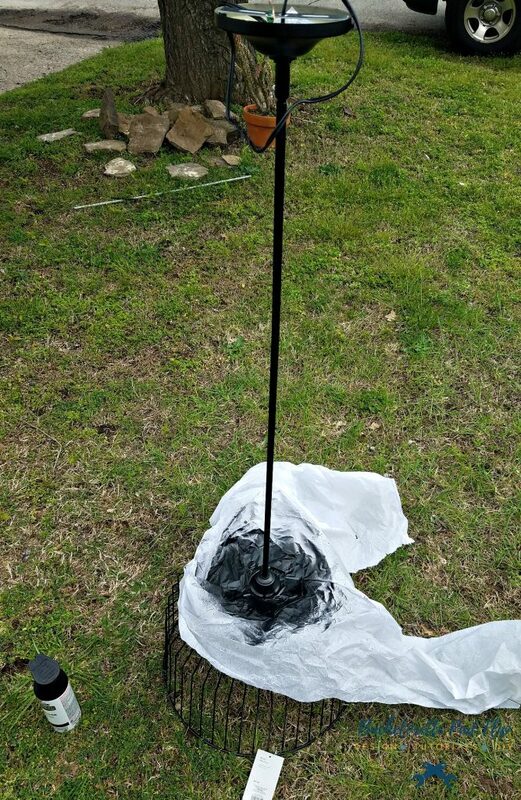 The light kit only came in an oil rubbed bronze finish, so I picked up a can of flat black spray paint. I gave the entire light kit and pole a couple coats of spray paint. The flat black matched perfectly to the finish on the basket. Once I got the light painted and in the room, I discovered it was too long. The pendant light kit comes with several extension poles, so I just removed a couple of them and the length was perfect! The final step was to hang the light. 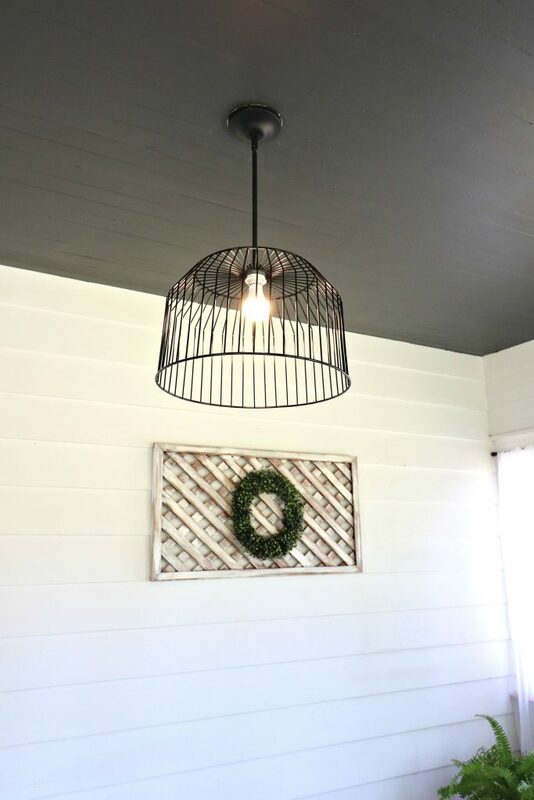 For less than $40, I was able to create a birdcage light that was perfect for the space at Flip 5. Upcycling a Target basket was super easy and budget friendly! 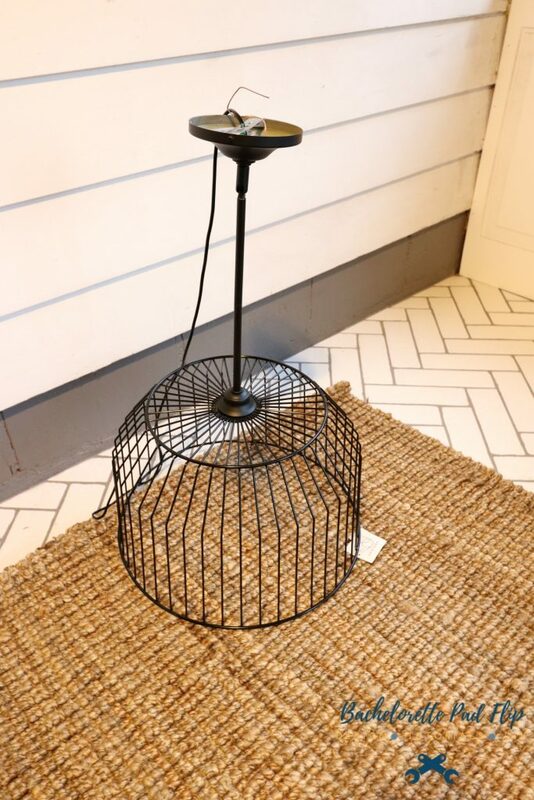 Target carries this particular basket in two finishes- brass & black, but with the magic of spray paint, you could create a custom light in any finish! « One Room Challenge: REVEAL!